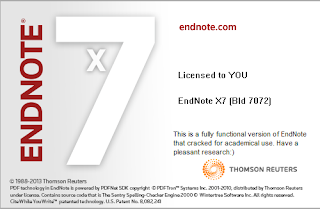 How to create a library in endnote x7. If you are a researcher or a science student. You should know about the EndNote. EndNote is an add-in citation program. It will help you to cite the references in your research paper, thesis or manuscript easily. This is an add in program that works with MS Word and other writing softwares. EndNote library is a collection of the scientific references. Each scientific reference is save as an individual record with different fields of data about references like Rating, author, title, year, journal name, issue, volume, page no. etc. We suggest that you store all the possible information of your references in the library. While there is no limit to the number of scientific references that can be saved in one library but we suggest that the number not exceed 100,000. 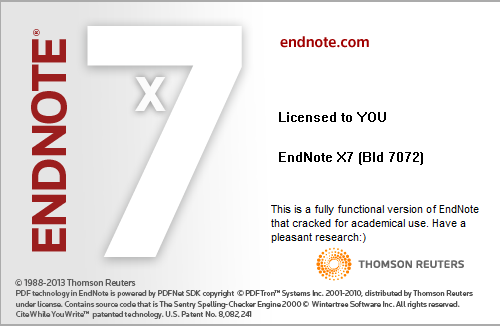 First of all, open the EndNote X7. A dialogue box will shown. In the dialogue box, select Create a new library OR from the menu bar, select File then New. The New Reference Library dialog box will appear. Enter a name for your new library. EndNote program will automatically add the .ENL extension, that stands for EndNote Library. Select the location where you would like to save your new library. The new EndNote library will be created. In the ddialoguebox., select "Open an existing library" OR you can also open library by click on File then Open. A record of libraries that you have earlier opened or saved will be displayed. Select the library that you want to open. If the library does not appear in the record, click Open Library. A select a Reference Library dialog box will appear.